One Texas-based company has built a thriving business by turning empty old barns into modern dwellings for today's homeowner. As agriculture has morphed into big business and populations have shifted from the countryside to urban centers, timber-frame barns have become rare. Thanks to companies like Heritage Restorations, however, many historic barns are being repurposed in exciting ways that their original builders could not have foreseen. 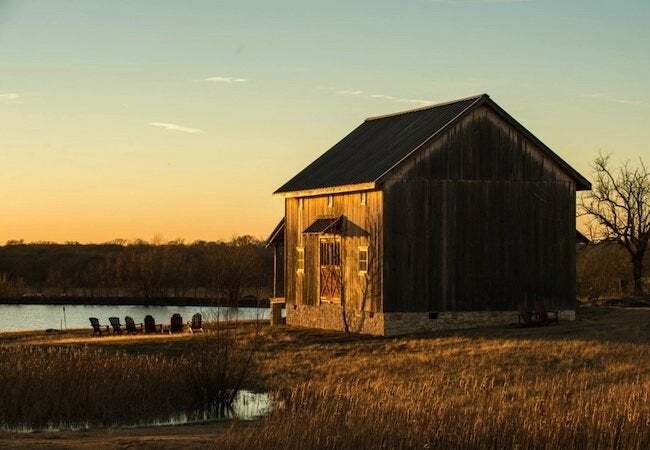 Based in Texas, Heritage Restorations has spent the last 20 years acquiring, carefully dismantling, skillfully rebuilding, and creatively integrating centuries-old barns into stunning new buildings—commercial spaces, event centers, and yes, even private homes. 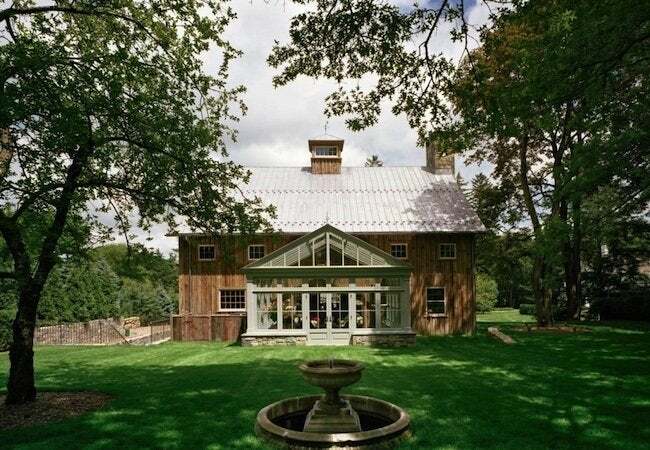 Combined with the best of today’s energy efficient materials, timber barn frames have made for jaw-dropping superstructures in residences across the country. 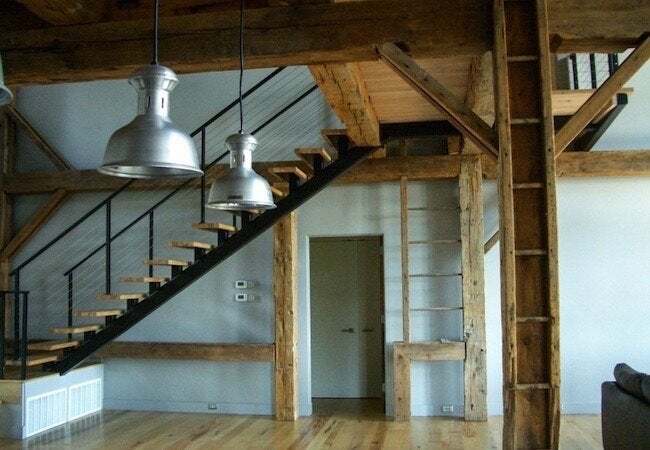 It seems that whereas historic barns no longer fit the bill for 21st-century farmers, they provide much of what contemporary homeowners want—ample square footage, open floor plans, and timeless, authentic style. As alluring as the barns may be in their patinated, hand-hewn beauty, their histories are even more engrossing. Many of these barns survived the Civil War; some are considerably older, dating back to the Colonial era. In fact, in the process of dismantling one barn, Heritage Restorations uncovered a Revolutionary War bayonet hidden behind a wall. Whereas barn-style homes are by no means unprecedented, Heritage Restorations takes a unique approach. Aware of these barns as outstanding examples of early American craftsmanship—and, indeed, as history embodied—the company seeks to preserve as much as possible of the original. When it began business, members of the company would drive along the backroads of upstate New York and rural New Jersey on the hunt for disused barns. When they found one, they would simply go knock on the door of the adjacent house. In time, and with improved technology, Heritage Restorations adopted more sophisticated methods. The team now uses Google Earth to explore rural areas, narrowing their eyes in search of certain telltale rooflines. But even with satellite imagery available, the company has not outgrown, and perhaps never will, advertisements that list their phone number under a simple message: “We Buy Barns”. Some customers buy only the timber frame, opting to work with their own trusted architect and/or contractor. In that case, Heritage Restorations, besides fumigating the wooden members, provides third-party advice gleaned from the many dozens of barn homes the company has helped to realize in the past. Since working around a reclaimed wood frame presents some challenges, and differs substantially from conventional modern framing, there are bound to be questions. Other customers retain Heritage Restorations for its in-house architectural services. The company has overseen projects large and small, deploying at least a few different design strategies. One option is for the home to be fully contained within the original barn frame. For additional square footage, multiple frames may be combined into a single building. And in still another permutation, the barn frame may be supplemented by one or more conventionally framed additions. 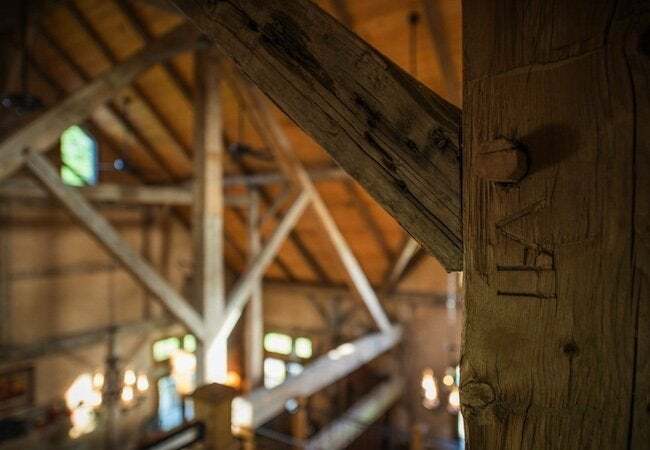 Though specifics change, of course, from site to site and project to project, there’s one commonality in all: hundreds of years after its raising, the barn still stands. For more information, visit Heritage Restorations.